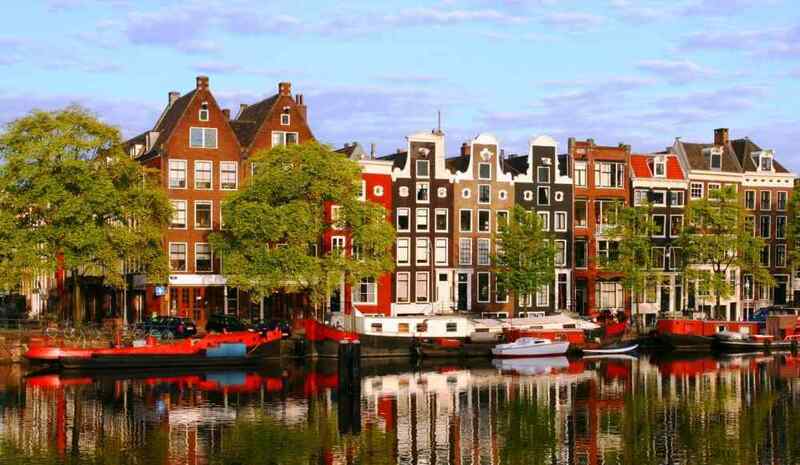 In the immediate vicinity of Resort Poort van Amsterdam there is something for everyone. On this page we try to give a complete overview of what to do. Also visit our reception, our staff will gladly tell you about this versatile environment! The story of Anne Frank, the Secret Annex and her diary. 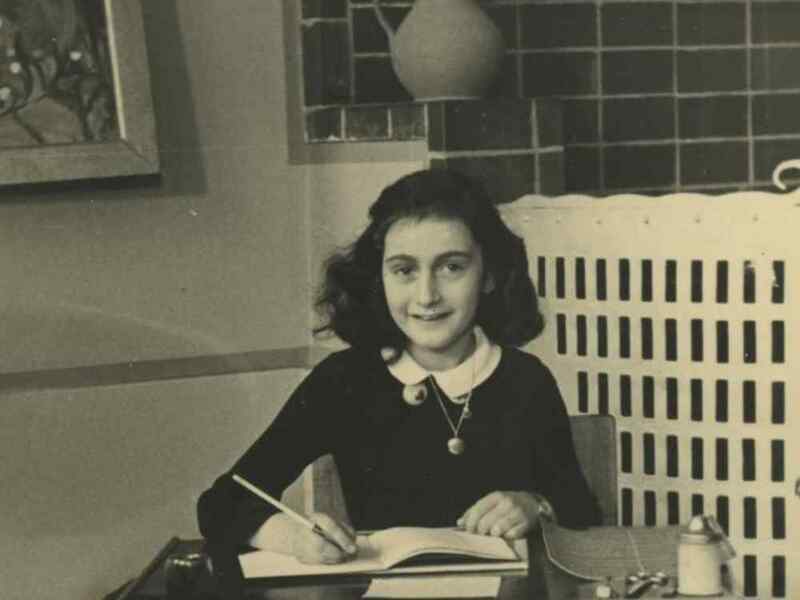 Discover her story and visit the Anne Frank House where she was immersed in occupied Holland. Our mission and vision are based on the concept Natura Artis Magistra: Nature is the teacher of art and science. The film below illustrates ARTIS' mission and vision. Do you want to relax or having some bad weather? No worries, go see a movie with the family! You can reach Vue cinemas Purmerend within 20 minutes and there is free parking. 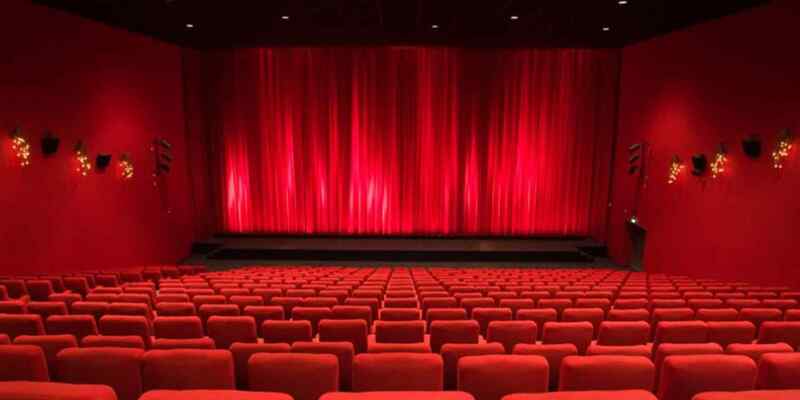 We can also recommend Pathé Cinema Zaandam if you want to visit a larger cinema. This cinema is 35 minutes away from our resort. You can park in the covered garage for a fee. For already 10 years Boot Huren Amsterdam has organized unique boat tours in the canals of Amsterdam. For groups from 2 to 600 people. Discover quickly what's possible! 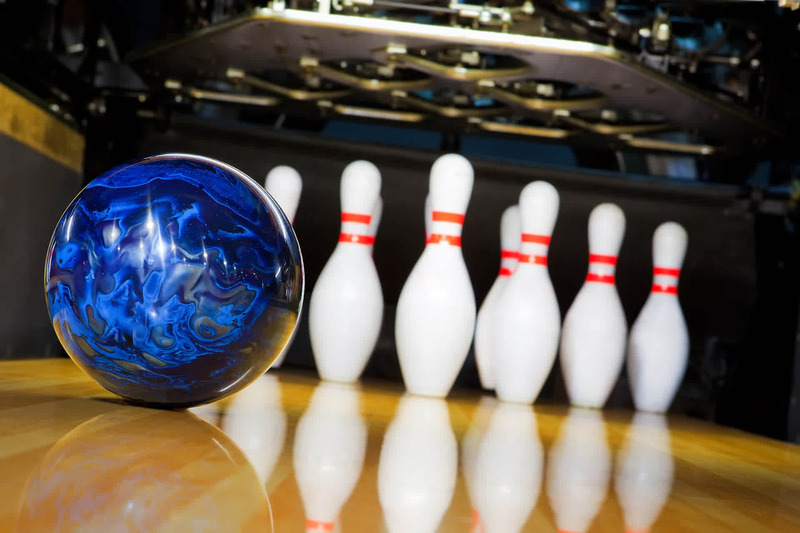 Bowling and Party Center de Zedde is a familiar place for all ages to have fun with the family, have a bite to eat or to celebrate a party. If you're a film enthusiast, don't forget to pay a visit to "Eye Amsterdam". Here, you'll find four cinema rooms, a large hall for changing exhibitions, the Eye shop, a bistro and the permanent exhibition in the Panorama. Adjacent to the EYE you'll find the A'DAM LOOKOUT. It's an observation deck featuring an unrivaled panoramic view of Amsterdam. 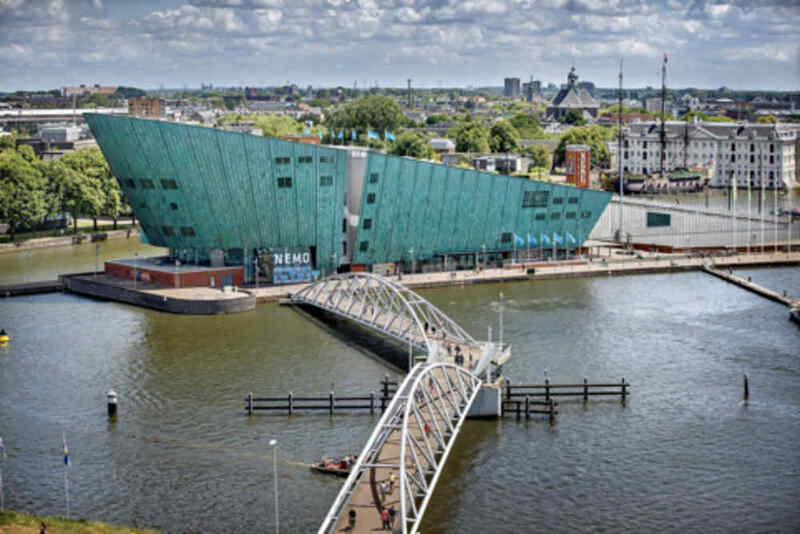 You'll be able to see the historic center of the city, the dynamic port, the unique polder landscape, and you can spot the famous canals. Are you brave enough to take a seat on Europe's highest swings? 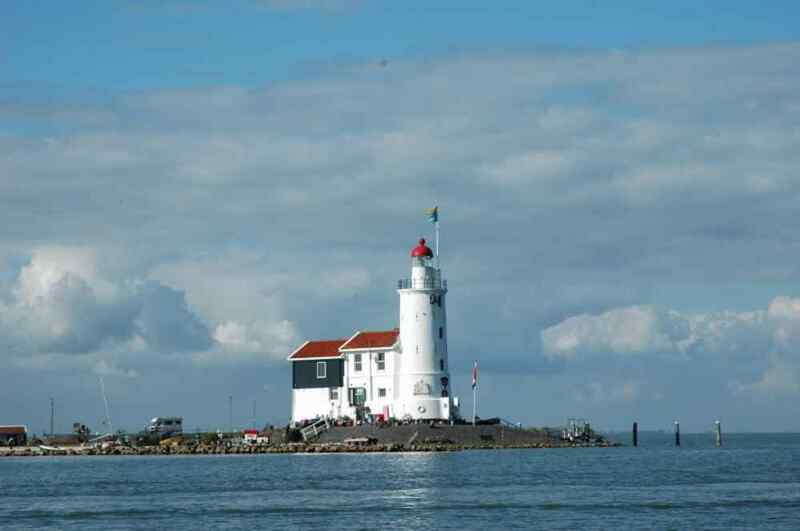 This city is located in West Friesland on the Markermeer via the Hoornse Hop. Here you will find the famous ''Westfries Museum'', the ''Waag'' and also worth mentioning, the ''Hoofdtoren'' in the harbor. Here you can also visit the famous cheese market on the Roode Steen during the summer. Kaasboerderij de Jacobs Hoeve is located on the dike in Katwoude in the middle of the polder wedged between Monnickendam and Volendam. 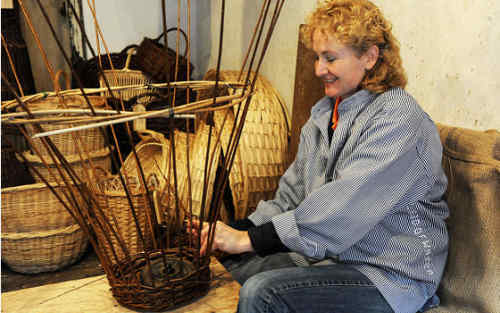 Come and discover this beautiful craft. The Simonehoeve is an original cheese farm and clog factory. You can visit the factory all year round to see how cheese and clogs are produced. Of course you can also try and buy clogs and cheese. Great fun for all ages and definitely worth it! 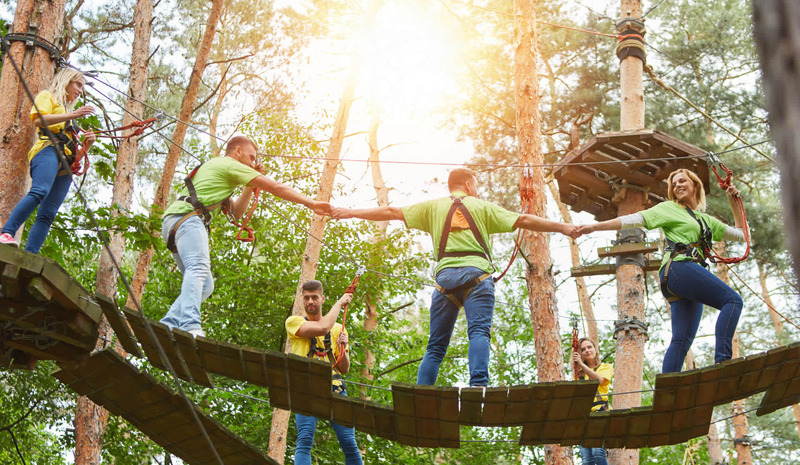 Come climb and clamber safely at the Amsterdam forest at Fun Forest, lots of fun for all ages. Take the family for a fun day out at this 'cave', an atmospheric cavern offering three great activities in one place: Play Paradise, Trampoline Park (JumpXL) and Glow Golf. Inside the famous Amsterdam wax statues attraction you will meet the stars, royals and many more celebrities. Are you ready for the funniest and interactive attraction of Amsterdam? Step into the heart of the amazing world of Madame Tussauds. Experience surprising, educational and sometimes emotional meetings with your superheroes, top singers, movie stars and artists. Marken is a former island in the Gouwzee, now a peninsula in the Markermeer because of the dike that was built in 1957 on the mainland. This has been a tourist attraction for decades, also due to the traditional costumes and the characteristic wooden houses on stilts and the so called yards on which the people live. These yards are artificially elevated. 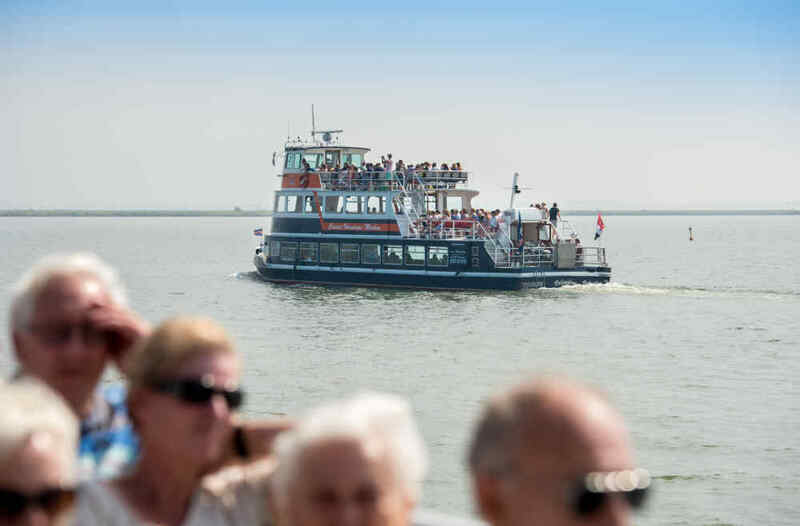 From the port of Marken you can board the Marken Express, this ferry will take you to Volendam within 30 minutes. This ferry sails all year round. 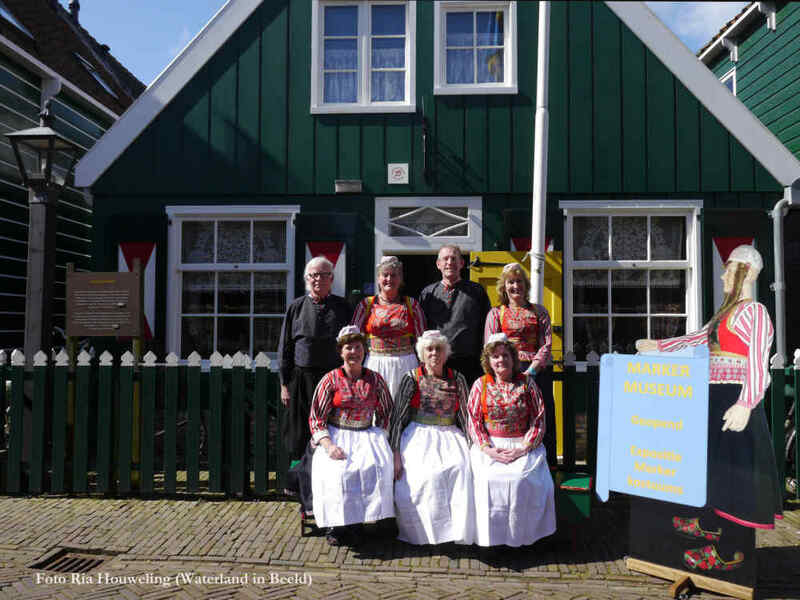 Among other things, Marken offers the "Marken Museum", where you'll learn all about Marken's history, traditional dress, the textiles its people used and continue to use, as well as its fishing. This city is a stones throw away from our resort. 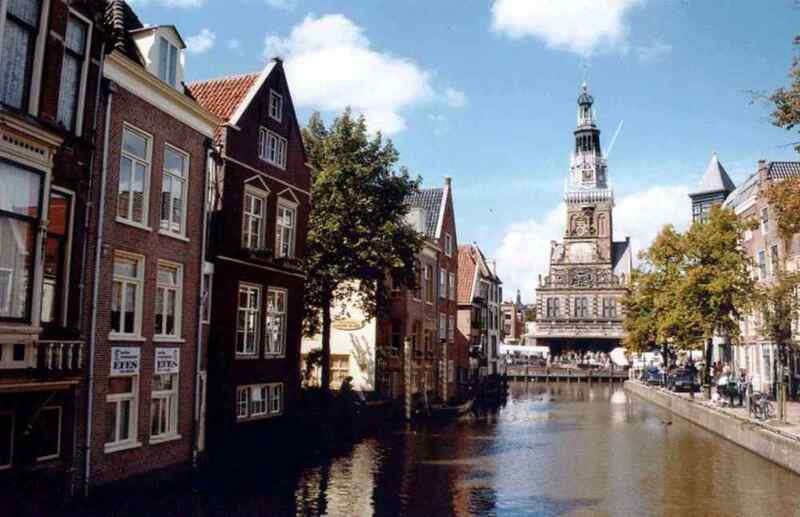 Here you can visit the St Nicolas church or the ''Speeltoren'', which is now part of the Waterland museum. Furthermore, the city has a small shopping center. 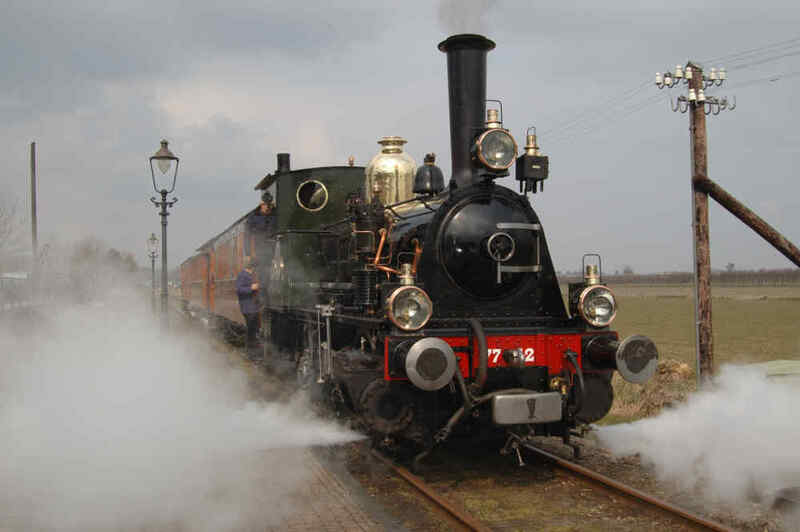 Go on an exciting journey through time with the steam streetcar from Hoorn to Medemblik. 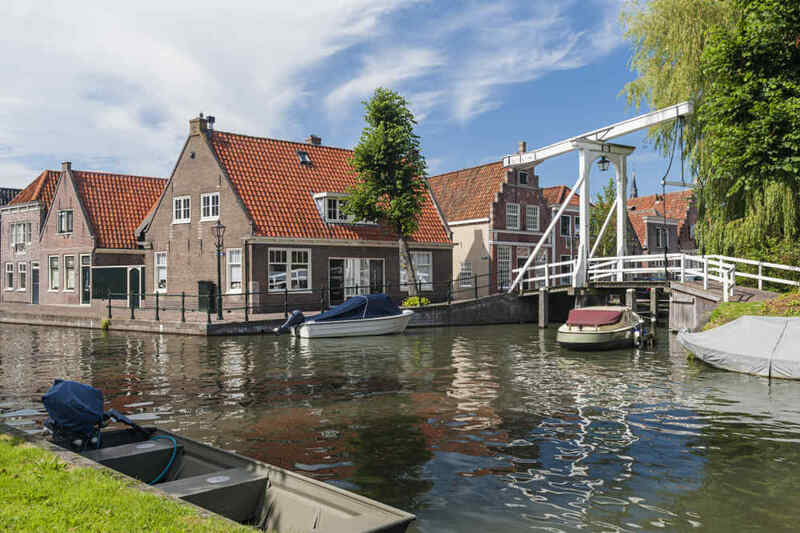 From there, you can take a boat to Enkhuizen, where you will be able to visit the South Sea Museum. 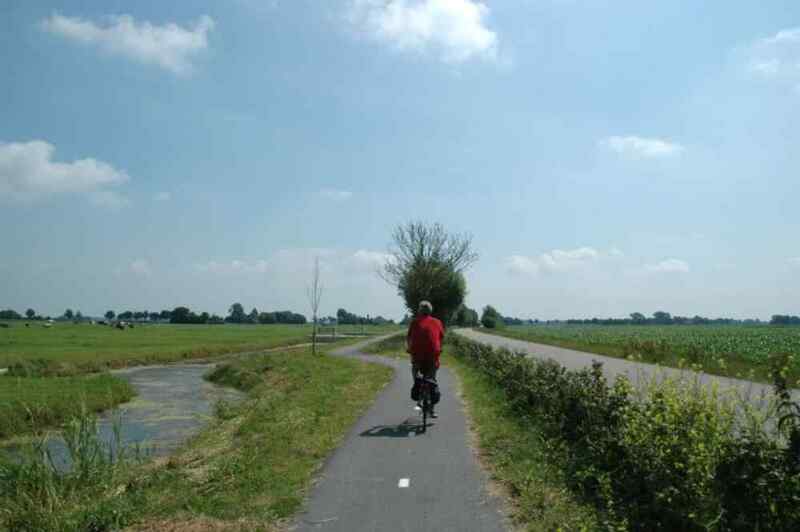 Rent a bike with us at the resort and go on a nice trip, for instance to the peninsula of "Marken". 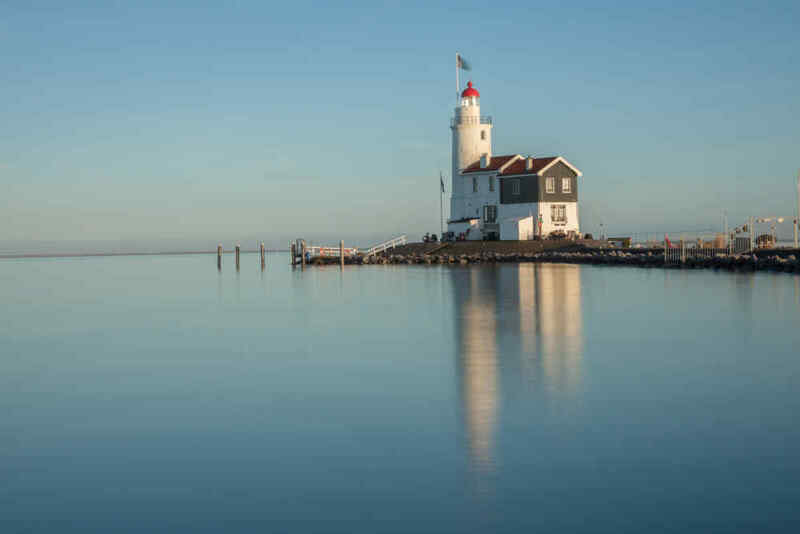 Here, you can go on a wonderful bicycle tour over the long dike along the harbor, all the way to "Het Paard van Marken", the island's characteristic lighthouse. 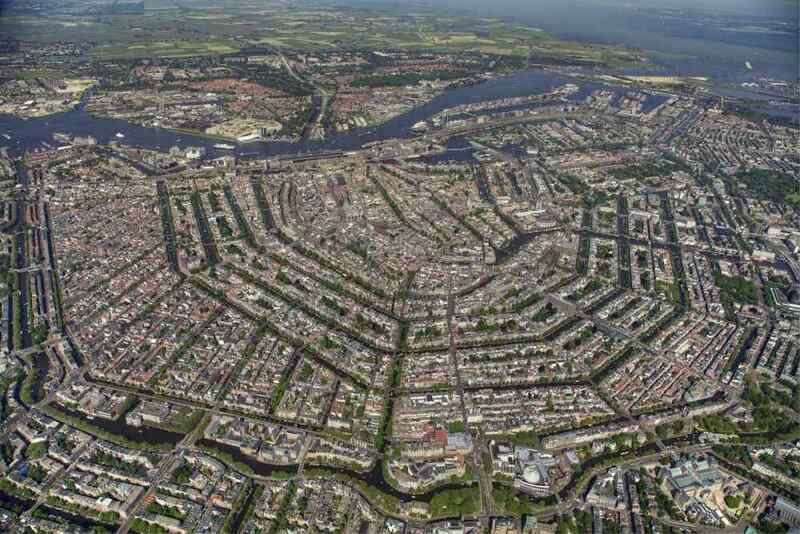 There are various possibilities to park your car cheaply on the outskirts of Amsterdam. From there you can then easily travel to the city center by public transportation. 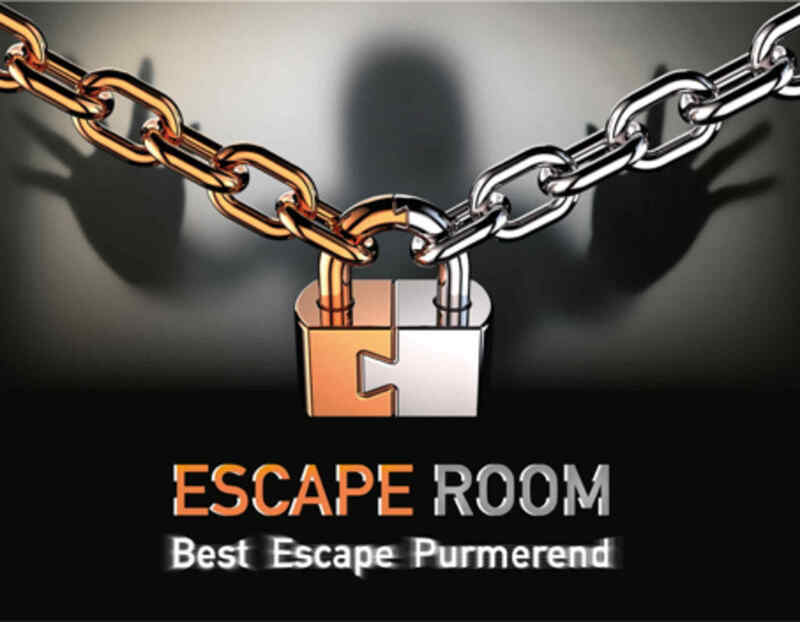 Purmerend is a city in the municipality of Waterland and is close to the Beemster and Landsmeer. This city has a lovely mall and an indoor shopping center. This city has two museums. 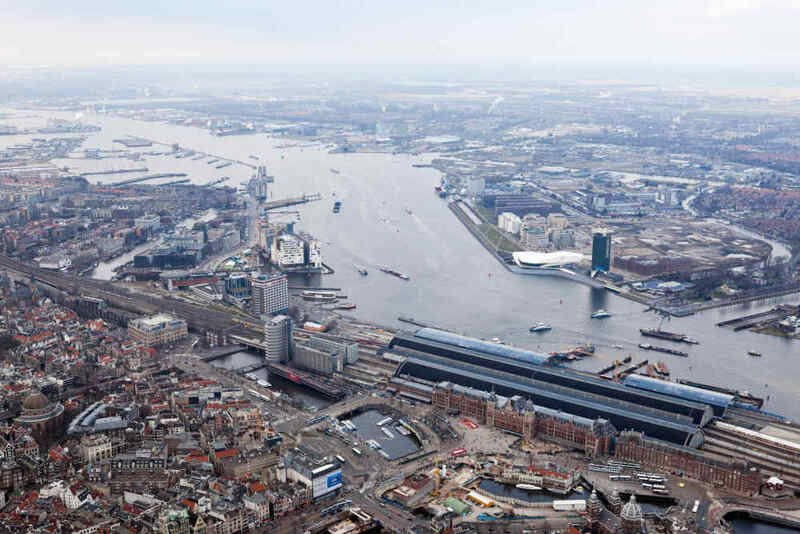 Visit the Dutch Maritime Museum in Amsterdam to learn how the sea has shaped the Dutch culture. Discover 500 years of maritime history with stimulating, interactive exhibitions! You can also view the showpiece of the museum. The ship of the Dutch East India Company, an exact copy of the famous original. 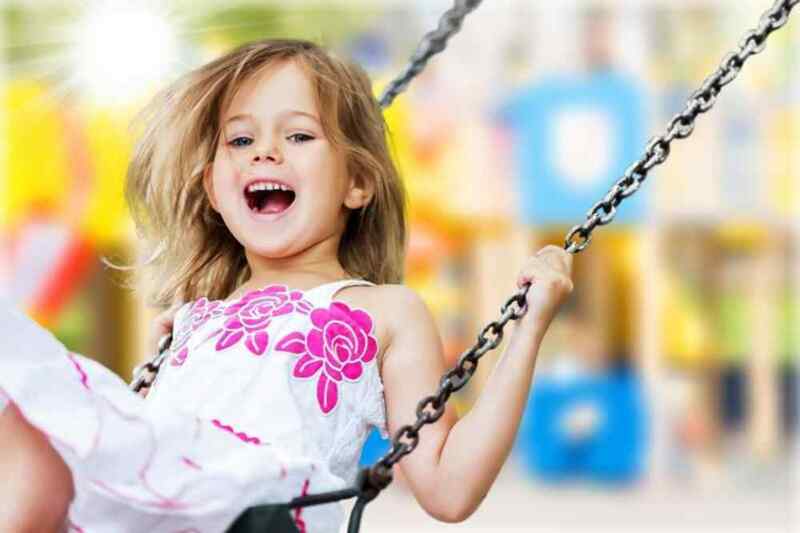 From the 1st of April until the end of October you can access the outdoor playground in Monnickendam. A beautiful place where children can play and the parents can relax on the terrace. 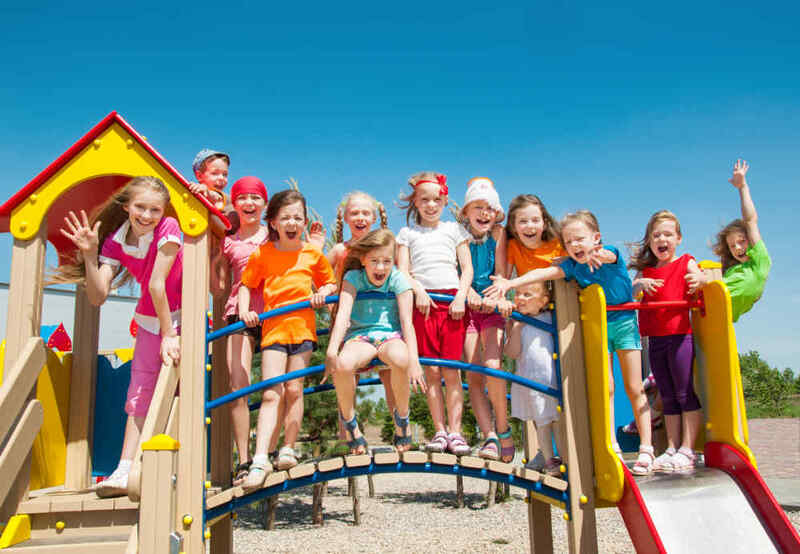 This playground is 10 minutes away from the resort (by car). 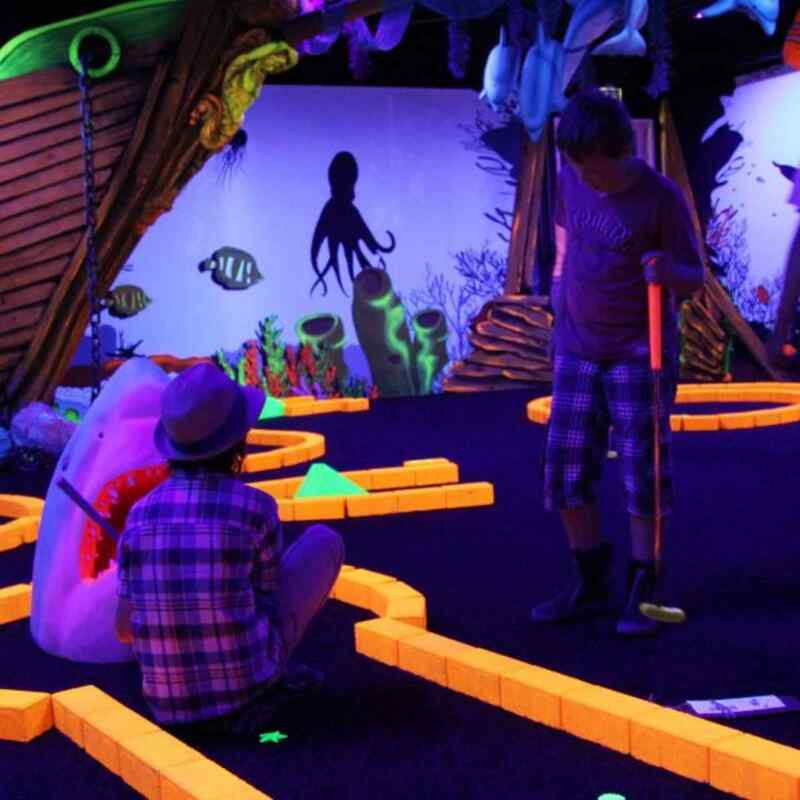 There is also a challenging mini golf course for older children. 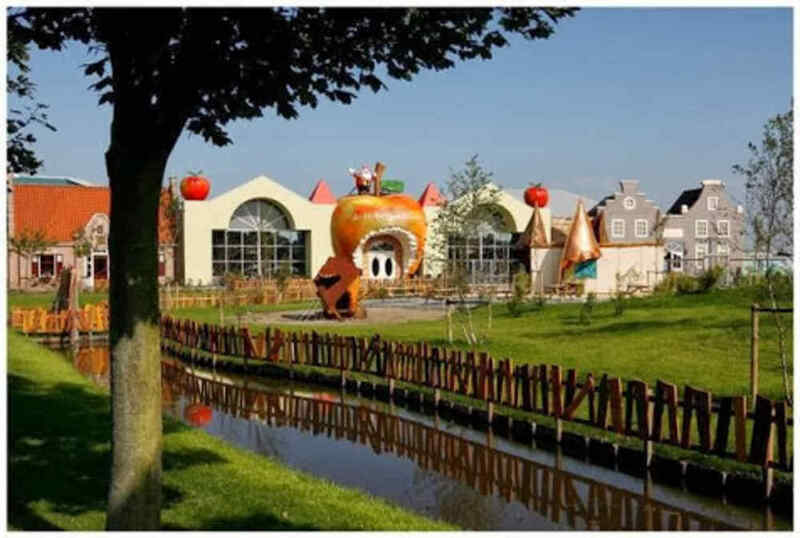 When you are on Marken, don't forget to pay a visit to the "Wooden Shoe Factory". 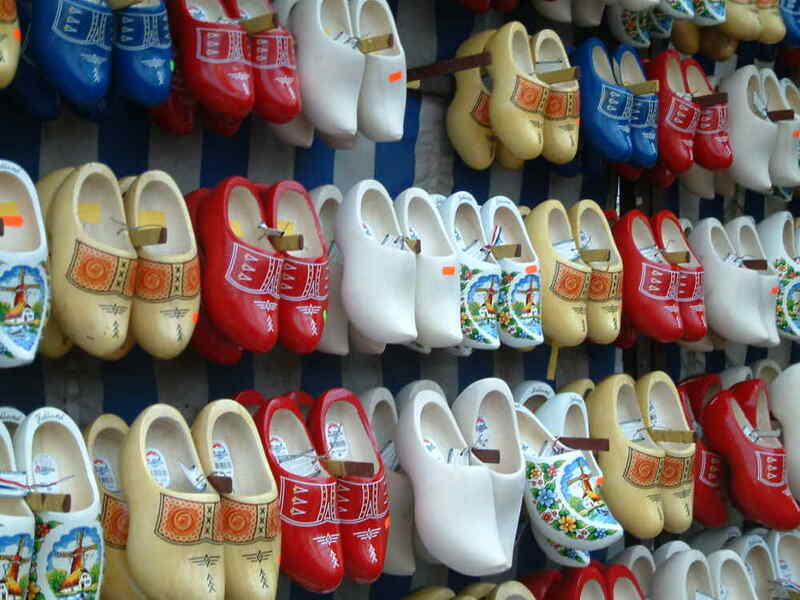 Here, you'll hear about how clogs are made, and you'll get a demonstration as well. Visit the coast, feel the breeze on the beach, go cycling or take a walk in the dunes. 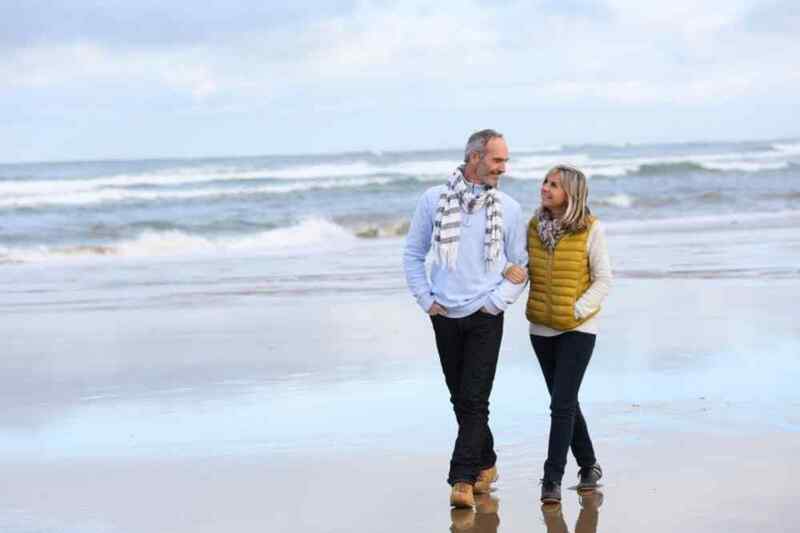 You can also wine and dine in different seaside resorts or go shopping in Egmond aan Zee. Of course there are several cozy villages to be found in the surrounding area such as Bergen aan Zee, Castricum or Bloemendaal aan Zee. If you want to travel by public transport! It's a 12 minutes walking distance from our resort to take the bus. This bus service leaves every half an hour and stops in Monnickendam, Broek in Waterland and finally at Amsterdam Central Station. The entire route takes about 30-40 minutes. Ask our staff about the departure times and rates. Based on a map you can define your own route or ask one of our employees for a cycling and/or walking route. 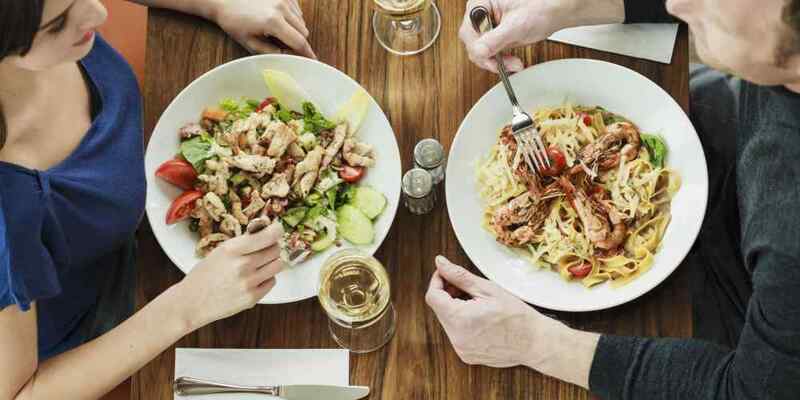 Here you will find dozens of mobile eateries which together form one large open-air restaurant. This takes place annually in the Westergasfabriek Amsterdam. Zaandam is a city located north of Amsterdam. 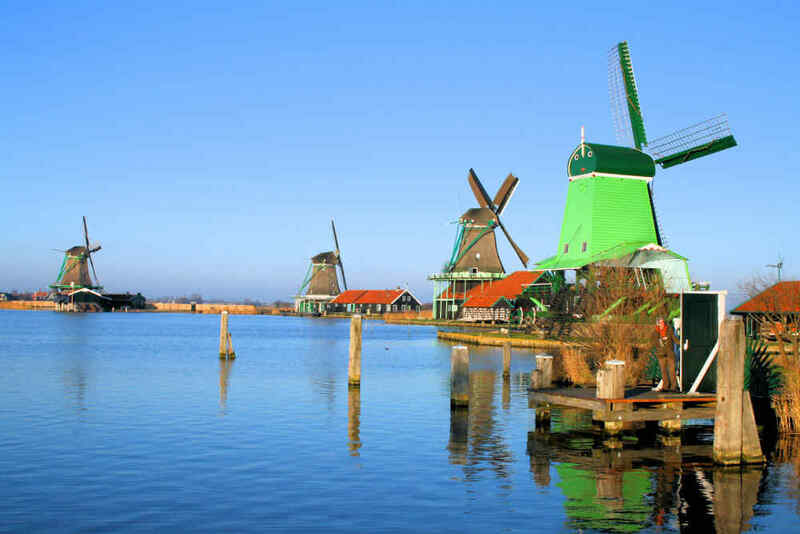 Here you will also find the famous outdoor attraction ''Zaanse Schans''. 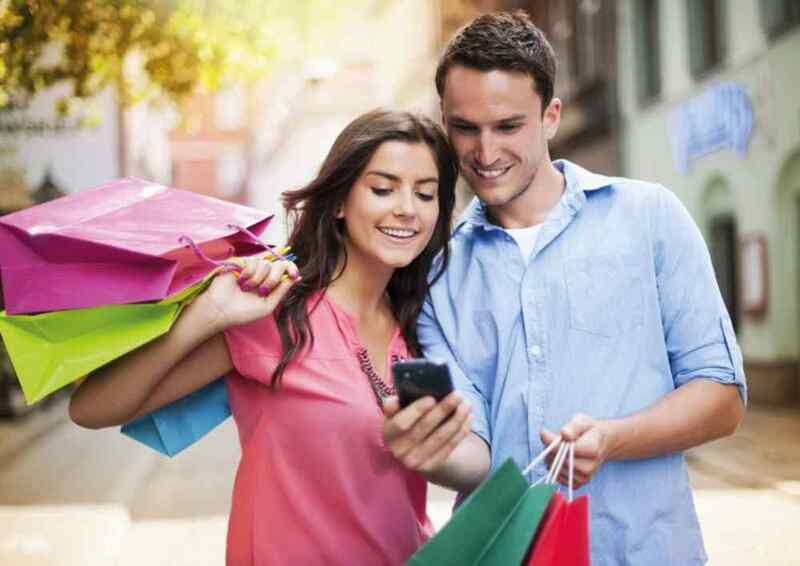 Furthermore, the renewed mall also offers enough shopping fun and you can visit one of the three museums. Above all Alkmaar is the cheese-town of Holland. During the season (from the first Friday in April up to and including the first Friday in September) a traditional cheese market is being held here on Friday morning from 10.00 o'clock till 12.30 o'clock . 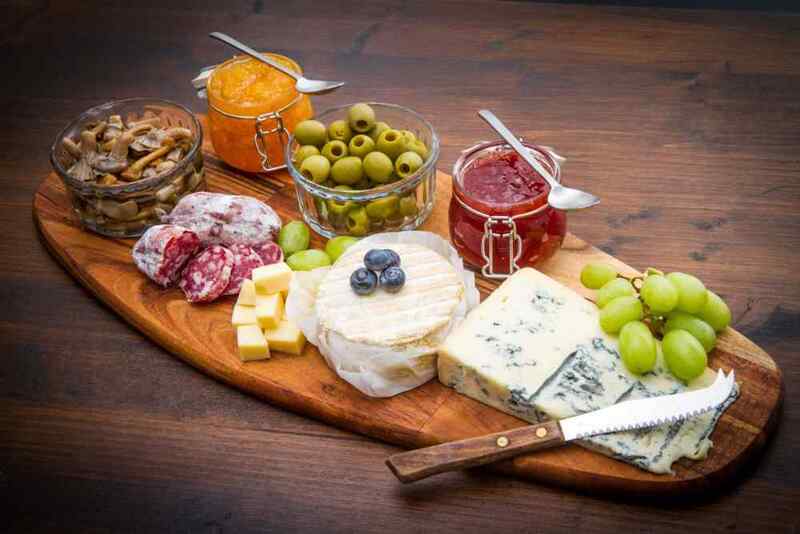 The cheeses are being sold by the merchants by means of clapping hands. The city of Amsterdam has many faces. Everybody knows the 165 romantic canals including its 1281 bridges, the more than 600.000 bicycles , the roaring nightlife and the abundant flowers market. But apart from that the city is offering a lot of other sights, excellent shopping possibilities and different exhibitions in 50 museums. Amsterdam has got it all! 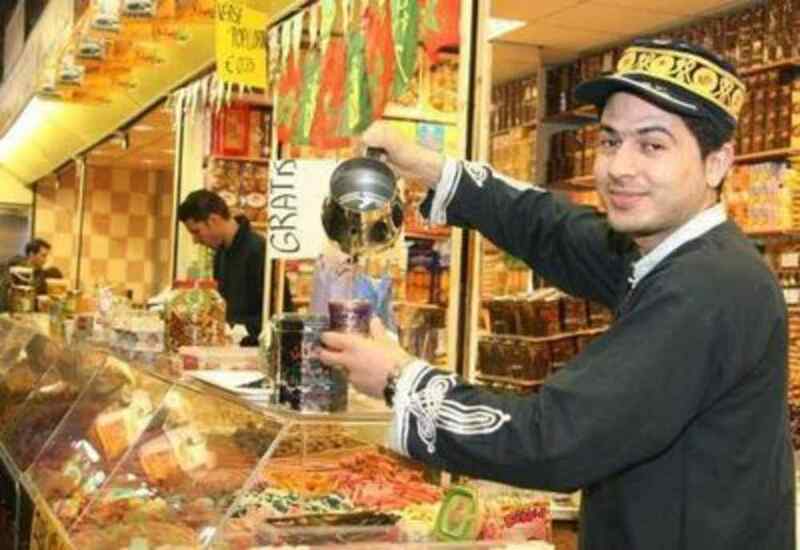 With its more than 2.500 shops, the Bazaar is Europe's largest indoor market. It's the perfect cheap day trip, even when the weather is bad. More than 50 nationalities are causing the Bazaar to be most international market in the continent. It's a melting pot of different cultures, nationalities, religions and languages. The Bazaar is open every weekend. Burg-golf club Purmerend disposes of a 36-holes championship course and a 9-holes par-3 course. 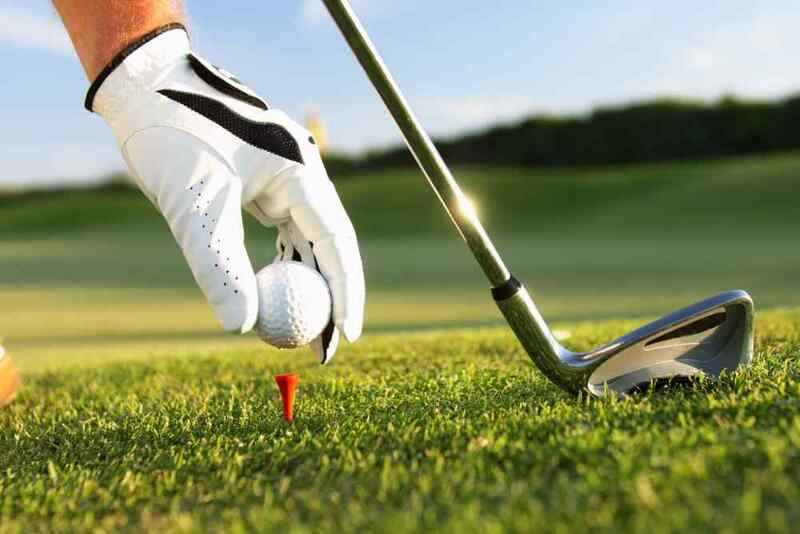 The holes have been spaciously put up and they provide beginners as well as more experienced players with a challenging round. Would you like to eat in your house during your stay, but do not cook yourself? 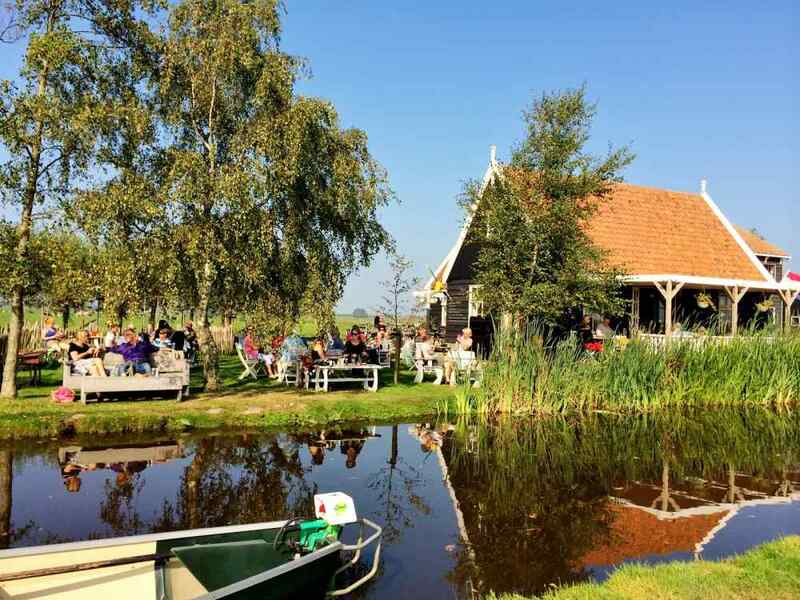 Take a look at the rich offer of Catering Monnickendam. Somewhat hidden in a magnificent area of scenic beauty with age-old grand polders all around, a challenging 18-holes golf course is situated. Visit this indoor food market. 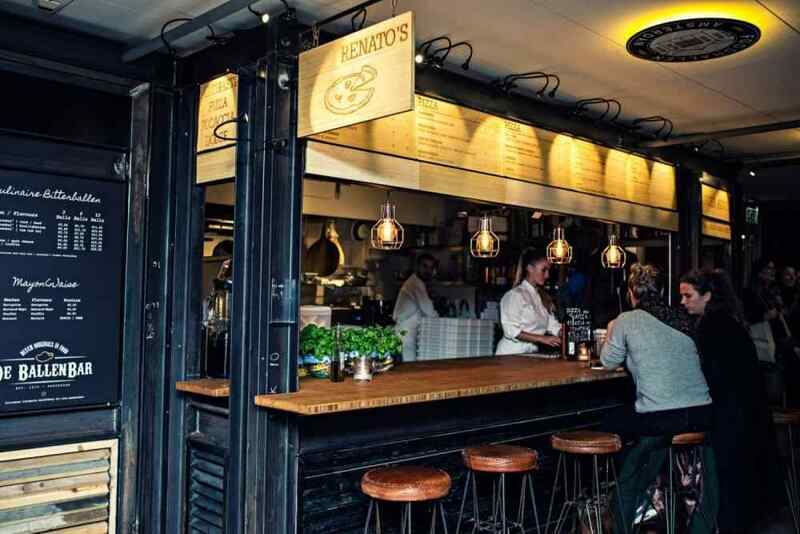 You can linger at the various open restaurants, bars and stands. A unique addition to culinary Amsterdam! Under the domes of the UNESCO World-inheritance Fortress at the Nekkerweg a splendid spa/wellness-hotel-restaurant is situated. 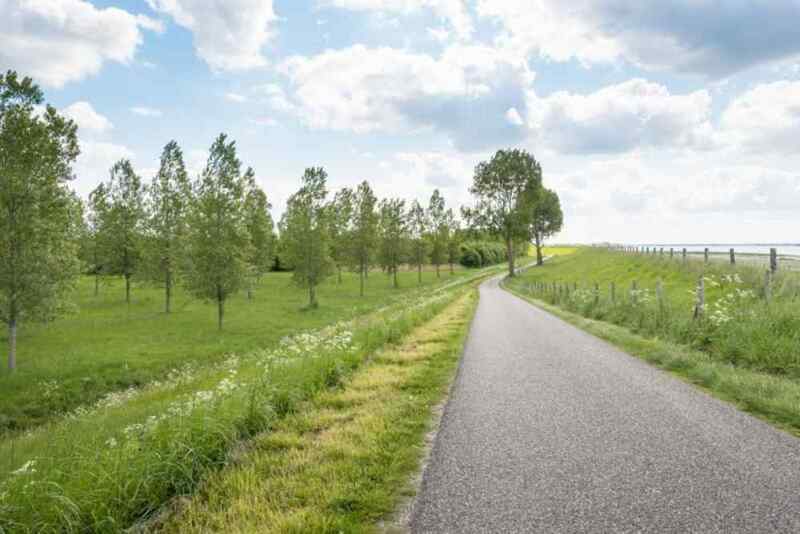 The combination of the historical elements, the ingenious design, the high-grade technique, the wonderful natural environment of the Beemster polder and the surprising design. are going to make your visit a true and unforgettable event! The fortress at Spijkerboor is the largest fortress in the scaffolding of the city of Amsterdam. Being a part of the scaffolding of Amsterdam, the fortress at Spijkerboor is a world wide recognized culture monument. For this reason it has been placed on the UNESCO- list of world inheritances in 1996. The Beemster golf-links have a 9 holes course, training-greens, a driving-range, locker-space, a clubhouse/restaurant, a hotel, a golf-shop and a golf-school at their disposal. Members and non-members are welcome here. With 66 holes, divided into seven courses, the golf-inks of Spaarnwoude are the largest golf-links in Europe. As the golf-links of Spaarnwoude are public links (which means that they are accessible for everybody), everyone can take advantage of the huge surface area to play golf. The "Hollow Plump Tree " in the town of Tuitjenhorn is providing 1100 square meters of indoor thematized playing pleasure for the benefit of kids in the age of zero up to and including eleven years old. In the "Hollow Plump Tree", the giant tree is immediately drawing attention and invites the kids to climb upwards into its branches. From the kitchen garden the parents can keep an eye on their kids while they're enjoying a bite and/or a drink. Every year between March and September there is a cheese market every Friday at the Waagplein in Alkmaar with a special spectacle of carrying cheese carriers. For young and old there is a lot to experience in the vicinity of villa park "De Rijp". Between the towns of Alkmaar and Bergen playground "the Batavier" is situated. Here it seems that the time has been standing still for a while. In the middle between the trees you're gliding down from a real old fashioned high gliding chute and all of you are sitting together on the family swing. The "Batavier" is offering a lot of fun and adventure to young and old. "Fairy tales wonderland" is the one and only place for your young offspring to let the stories , which you're used to read to them before they're going to sleep, become a reality. Meet the "Booted Cat" or "Snow-white and the mean witch" . 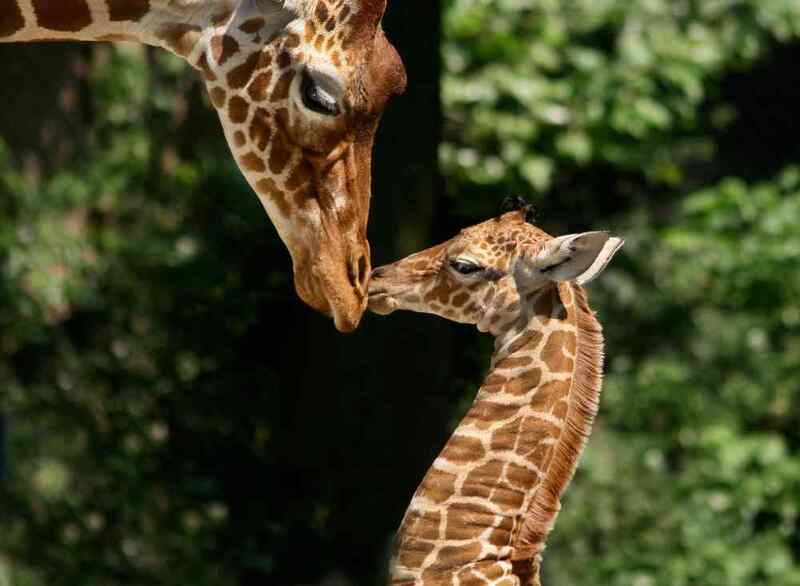 Enjoy the train ride through the park, the animals who live there (among other things goats and rabbits) or the pancake-house. Volendam, the beautiful fishing village at the Ijsselmeer, with its traditional costumes and dresses, as well as music and fish. Little houses in the labyrinth behind the harbor, souvenir shops, which are open seven days a week. Restaurants with a typical Volendam atmosphere, where an important part of the menu consists of fish. Coming right out of the water fresh into your tray. The "Zaanse Schans" is a unique living- and working neighbourhood, full of turning (rotating) wind-mills, ancient (traditional) crafts, special museums and beautiful houses , which are made of green wood. Experience, taste and smell the atmosphere (ambiance) from the eighteenth and nineteenth century. In the town of Enkhuizen the only outdoor-museum, where water is playing the leading part, is situated. While enjoying a short boat trip, you'll not only be able to see how the Dutchmen were living in this area a century ago, but you can even smell, taste and feel it. The typical ancient -Dutch way of feeling is being brought back to life in this open-air museum. Exploring the neighbourhood of Volendam? Rent & Event has the best options for you!